I am a lover of peanut butter! Seriously, it is amazing! 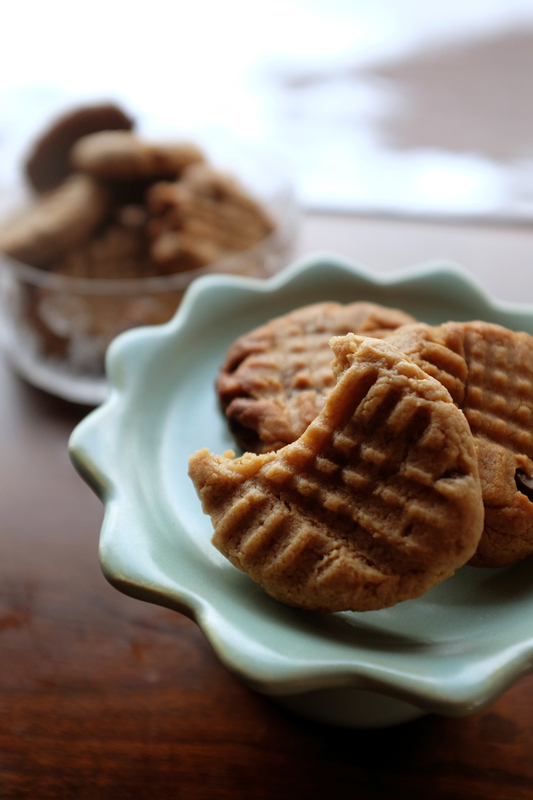 To me, peanut butter is a great cookie to have and eat year round, and during the holiday's I just love to add in chocolate chips to make them a little more festive! During this past weekend, my Dad came to visit Drew, Moose and I in Montana. He is also a lover of the peanut butter cookie! For a fun and sweet surprise, I threw together some of these yummy cookies as an intense winter storm rolled into our sleepy mountain town. With the snow around the house and the fire rolling, I felt so warm inside knowing my favorite men and doggy were around me. I love the feeling of being home and having my family close, there is really no better feeling. With happiness in my heart and a peanut butter cookie in my hand, I curled up with my puppy and watched Drew and my Dad chat about boy things by the fire! I hope these bring some joy to your family this holiday season! If you bake some cookies or any other Front Paige recipes, remember to tag #frontpaige or @front__paige on instagram so I can check out your creations! 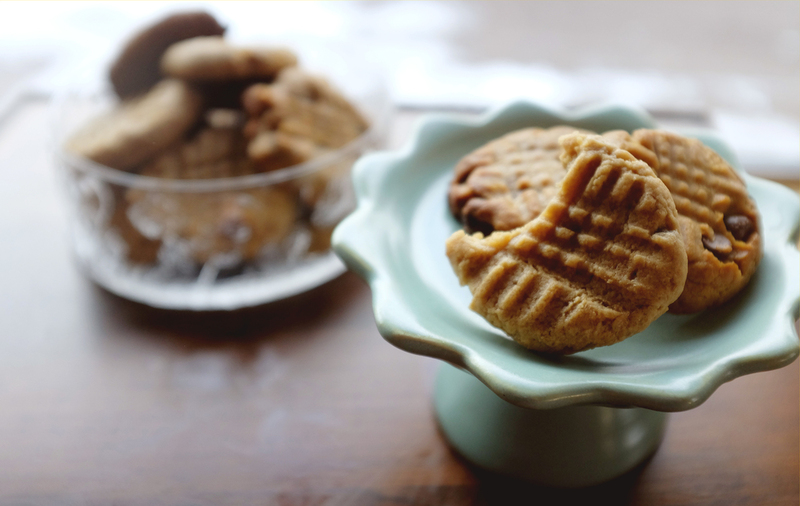 *peanut butter cookies are famous for their hatched design on top! Bake for 12 minutes until the cookies are a darker color and the chocolate chips look melted. Let cool for about 5 minutes until eating! Or if you are anything like me and my family, eat right away and ignore the burning cookie! For all the holidays coming up, I love to get my shopping done online and through my shop style links! Below I have some of my favorite holiday and kitchen needs in little links! Just click on the images to get sent right to the website where you can buy!